One of Europe’s largest collections of Big Sharks! Sand tigers, Lemon Sharks, Zebra Sharks Nurse Sharks, Black Tips and White Tips can all be seen from the moving walkway through the spectacular underwater 70m Aqua tunnel. 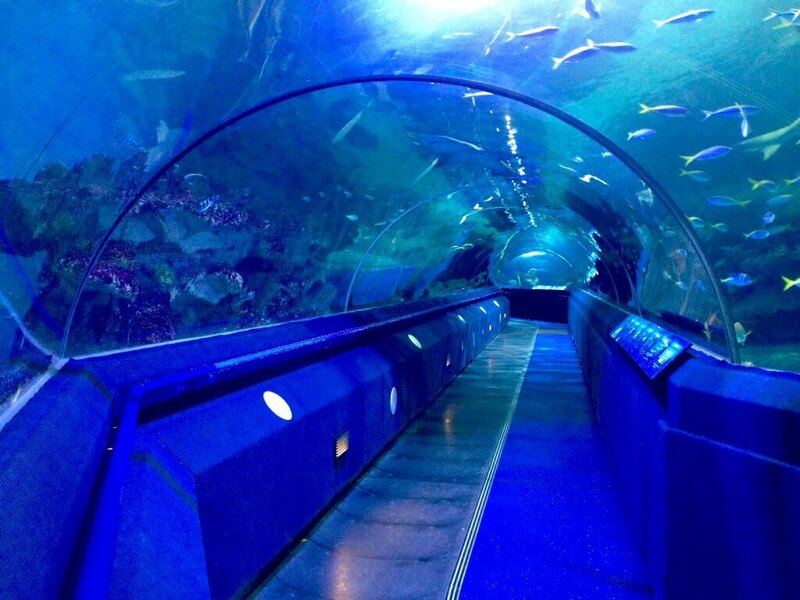 At the heart of Blue Planet Aquarium is the Aquatunnel, one of the longest underwater tunnels in the world. You’ll be taken on a spectacular underwater safari on our moving walkway and everywhere you look you’ll find amazing tropical fish and awesome sharks staring back at you!